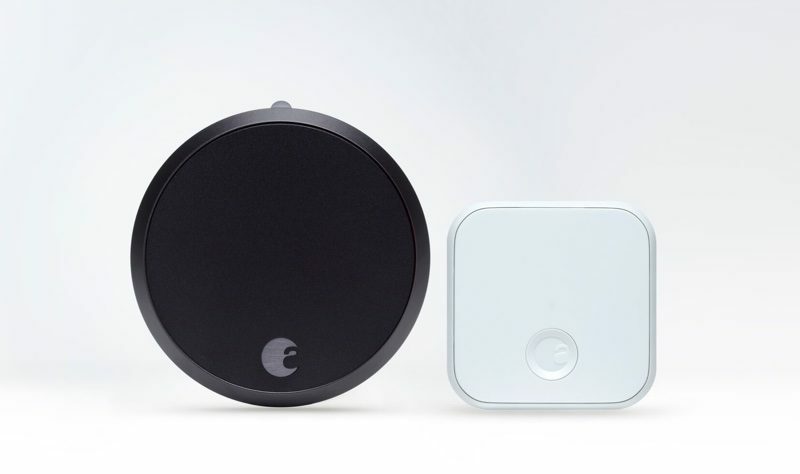 August today announced the launch of several new smart home access products, including the August Smart Lock Pro, a redesigned August Smart Lock, and a new version of the August Doorbell Cam. According to August, the August Smart Lock Pro is the "most advanced smart lock on the market" with support for HomeKit, Google Assistant, Amazon Alexa, and Z-Wave Plus. It includes DoorSense, an integrated sensor that lets users know if the door is open or closed when away from home. DoorSense is also able to lock the door instantly when the door is closed, an update from previous devices that required users to set the door to lock after a set time. Smart alerts, a beta feature, will let users know if the door has been left ajar for a set amount of time, and the lock will soon be able to deliver alerts about specific activities during a set timeframe, such as children arriving home from school in the afternoon. With HomeKit support, the Smart Lock Pro can be monitored from inside the Home app and it works with Siri commands like "Hey Siri, unlock my front door." It can also be used in combination with other smart products in Scenes and geofencing enables automatic unlocking when you arrive home or leave home. August sells the Smart Lock Pro with the August Connect Wi-Fi Bridge, which combine together to allow users to control and monitor their front door from anywhere. August charges $279 for the Smart Lock Pro bundle. Smart locks are playing an important role in the growth of the smart home," said Jason Johnson, CEO of August Home. "With the Smart Lock Pro, we created a lock that gives people total control over their front door in ways that aren't possible with a traditional lock. Now, people can make sure their door is closed and locked from anywhere. We're also expanding our offering to include a more affordable lock so everyone can make their door safer and smarter." The August Smart Lock, priced at $149, is designed to be a more affordable option for those looking to install a smart lock. 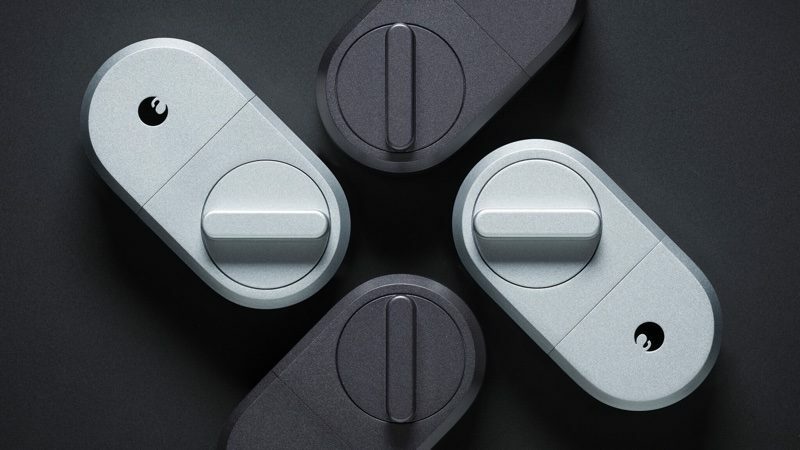 It includes all of the features of previous-generation August Smart Locks, including the new DoorSense feature, but offers a simple new design with a traditional thumb turn to lock and unlock the door. It does not support HomeKit. Both the August Smart Lock and the August Smart Lock Pro replace the interior side of most standard deadbolts, leaving the exterior door hardware the same so a standard key can continue to be used. 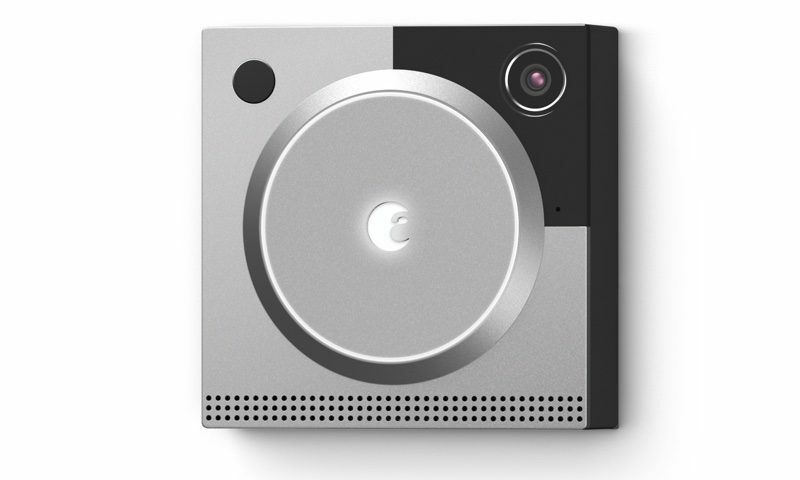 Rounding out August's list of new products is the $199 August Doorbell Cam Pro, a new version of the Doorbell Cam. There's no HomeKit support in the Doorbell Cam Pro, but the updated camera features a built-in flood light for color night time video and motion detection alerts when something's happening at the front door. A new feature called HindSight adds a few extra seconds to the beginning of a video recording so you can see what's happening just before motion is detected. August has also built improved video quality into the Doorbell Cam Pro for crisper video recording, and August Video Recording lets users replay, download, and share recordings from the August app. The Doorbell Cam Pro replaces an existing doorbell button and it offers a USB dock for easy setup ahead of installation. The August Smart Lock Pro and the August Smart Lock are available immediately in silver and dark gray, while the Doorbell Cam Pro can be pre-ordered and will begin shipping out in October. I'd like to get one, but the lock looks ridiculous in the pictures I've seen. The lock looks good in the product pictures, but on the door it looks so stupid. I had been a fan of August for quite a while but I'm getting frustrated with them. I'm on my third keypad in just over a year and have a doorbell cam that is now unresponsive as well (it won't even ring the doorbell right now). Their customer service team also seems to be lacking (although generally those posts stick to scripts their team seems to not have any knowledge outside of what's on the screen, e.g. Completely non-technical people). It's too bad really, I was very happy with the initial products but over time the lack of quality control is really showing. Edit: also their geo-fencing only seems to work when I have the Apple Watch on. No idea why but every time I am wearing my watch (which is most of the time) my doors will automatically unlock. Any time I don't have the watch on I have to use the keypad to get in. Edit 2: the lack of HomeKit on their entry level strikes me as the type of product management move I really dislike, purposely hobbling an otherwise capable device just to get people to buy the more expensive model. That wouldn't be a hardware limitation and the code was already developed. Not a customer friendly move at all August. Everything is "pro" now. The word is losing it's meaning. I mean....a "pro" door lock?! :confused: What the...what? nice! door open sensing is the one thing I feel my August Smart Lock is missing. I’ve paired my August Smart Lock with an ElGato Eve Door and Window sensor to achieve this exact functionality. Works very well! it's probably just me, but i find it ridiculous to have a door with such a big window that has actual visual on the lock itself - so you will know exactly what type of device you'll dealing with - promoting a "security" solution? Is the actual lock updated or did they just throw the sensor in the package deal? I use my appletv for HomeKit hub so not sure the sensor will help me any? I have gen two august smart lock. Seems to always tell me my batteries are low even though I just replaced them. Auto unlock works the majority of the time but it's glitchy sometimes it won't work. Hey Siri! Open the damn door! You'd think they would have made the darn thing thinner jeez. They just need to hope stapling a coffee can to your door becomes a fashionable look and they should be ok.